Are you one of the millions of adults who are unhappy, self-conscious or even embarrassed of your smile? Many adults spend their entire lives covering their mouths when they laugh, smile or talk. They feel stuck because they do not want to wear metal braces for years or they are concerned that other corrective procedures could be too invasive or too expensive. Now there is an effective, safe and affordable cosmetic solution that fits your lifestyle. You have the option of tooth colored braces or “invisible” trays to straighten your teeth without braces. To discuss your options for braces in the Statesboro GA area, please feel free to contact us to schedule an appointment. 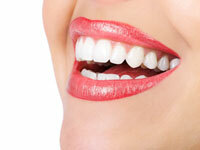 The procedure requires fewer dentist visits and is typically less expensive than traditional braces.